« Who Takes Home the NFC South as of Now? Bucs center and captain Jeff Faine was under fire for missing several players-only workouts this week according to the St. Petersburg Times. Faine issued an open letter Friday to fans to clarify his comments. He also vowed to attend future workouts. “I found it necessary to respond to a recent (online) post when my dedication to my team and the quality of my character as a captain was questioned,” wrote Faine. Faine’s letter said he missed the workouts because of scheduling conflicts and he didn’t intend to question Freeman’s leadership. The eight-year veteran said he was only trying to point out how difficult it would be to assemble the entire team and hold workouts comparable to offseason practices organized by the coaching staff. 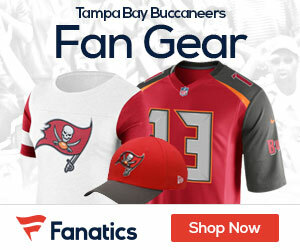 “I can assure you that my dedication to my team, the Buccaneers organization and the Tampa community has never wavered,” Faine wrote.